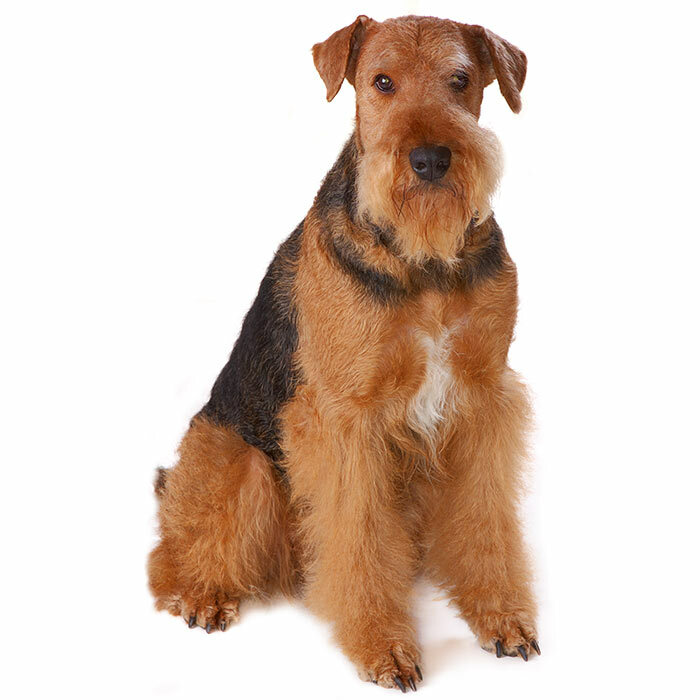 Airedale Terriers are known for their heavy shedding and need a high level of grooming compared to many other breeds. Originating in England in the 1800s, the Airedale Terrier was developed by cross breeding a Terrier with an Otterhound, although it is suspected that there are other breeds in the mix. 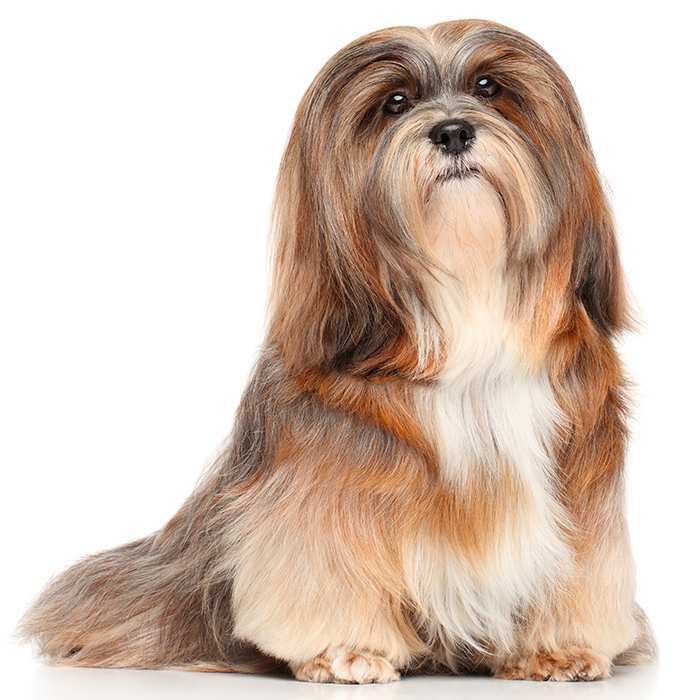 It is widely believed that the old Black and Tan Terrier, together with the Broken Coated Terrier were probably used. The Airedale Terrier was developed, like most dogs of the time, strictly for the purposes of hunting. Their great strength, paired with their size and agility made them a suitable breed for the hunting of small and medium-sized game such as rats, rabbits and foxes. 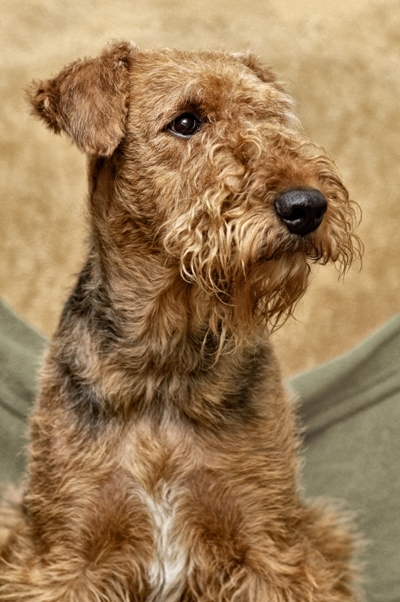 While the terrier breeds have the reputation for being quite independent and stubborn animals, the Airedale Terrier is very trainable.  The breed is very proud and confident but with a consistent reward-based training regime from an early age, the Airedale Terrier will develop into a very obedient companion dog. Airedale Terriers are popular family dogs and have a great reputation for good-natured and gentle play with children. This being said, they are prone to getting easily excited, and can become too rough for smaller kids. They are very intelligent dogs and live to please their owners yet, if there is a distraction, like a bird, rabbit, cat or smaller dog, Airedale Terriers tend to chase rather obey commands. A hunting dog with bounds of energy, the Airedale Terrier requires a good deal of exercise to remain happy and healthy. Good long walks at least once or twice a day are essential, and this will go a long way to curbing any behavioural problems that can develop. 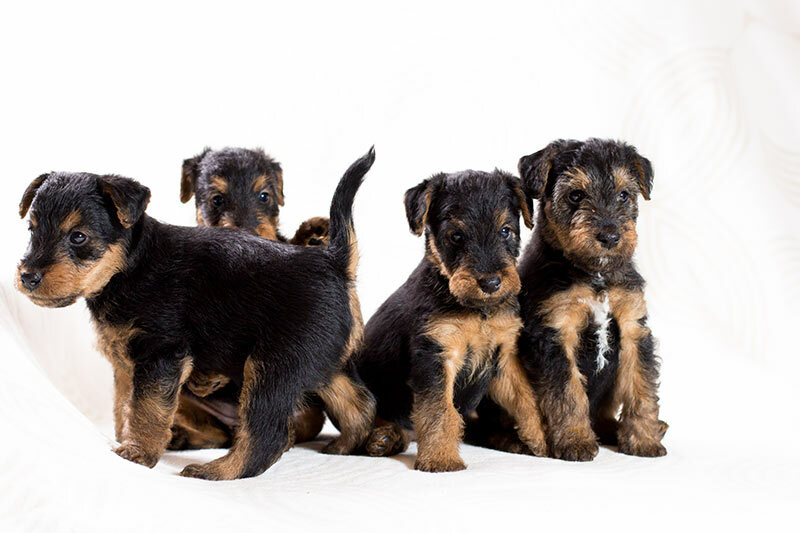 Airedale Terriers will generally grow to between 58 and 61cm. 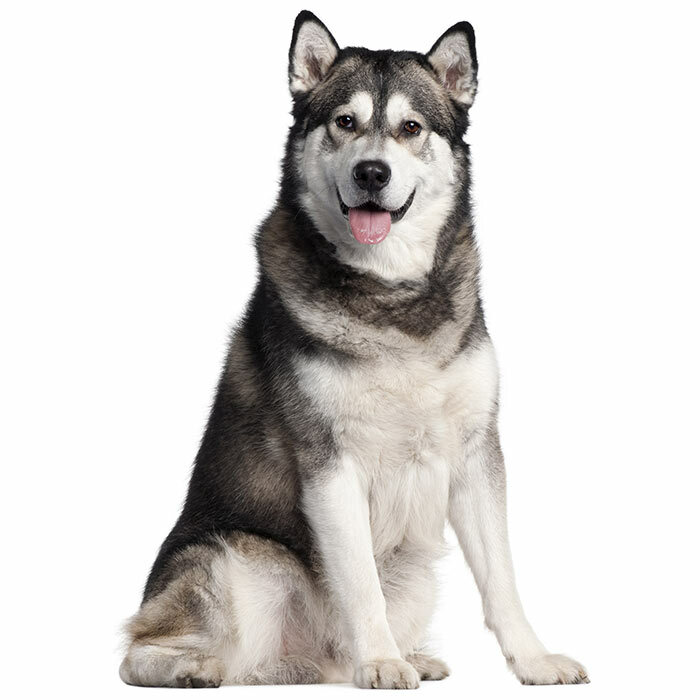 The breed should weigh between 23 and 29kgs and will live to age of 10 to 14 years. Airedale Terriers were developed to excel as an independent hunting dog. Their intelligence, paired with their love of the chase and fierce determination makes the breed a very loyal yet head-strong type. The Airedale Terrier is an extremely energetic, optimistic and persistent breed that thrives on work and demands a great deal of attention from its owner. Because of their high level of intelligence and energy, the Airedale will become over-excited or rowdy if not given enough physical and mental stimulation. They will tend to develop destructive habits such as digging or chewing if not taken for enough walks, and a good game now and then is essential to its happiness. The Airedale Terrier is an independent hunting breed and will aim to please its master. While the breed is very loyal, its independence can mean that Airedale’s can become distracted by other animals and even cars. They must be kept on the lead whilst being taken for walks as they are prone to being caught up in the chase. 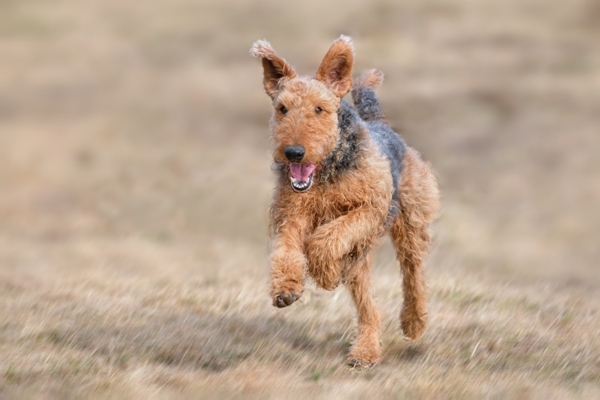 While aggression towards other dogs can occur with the breed, the Airedale Terrier is very responsive to good, clear and consistent training techniques.  Socialise the breed early and regularly to avoid aggression problems in the future and be train your Airedale with a reward-based system to get the best out of them. The breed is great with kids, but the Airedale Terrier’s size can prove too much for some smaller children. Always supervise playtime with kids and your Airedale, especially if the children are under the age of eight. Hyperadrenocorticism is a disorder that affects the dog’s adrenal glands. When this occurs the Airedale Terrier will produce excessive amounts of glucocorticoid and will become sick. Symptoms include an increase in water consumption and appetite for food. Bloating can occur as well as some hair loss and thinning and drying of the skin. If you notice any of these signs, it’s important to see your vet for assistance. Hypothyroidism. Common in all breeds, Hypothyroidism is when the thyroid gland doesn’t produce adequate amounts of thyroid hormone, usually because of inflammation. Some symptoms of Hypothyroidism include abnormal weight gain, dry skin, hair loss, ear infections, and lethargic behaviour. 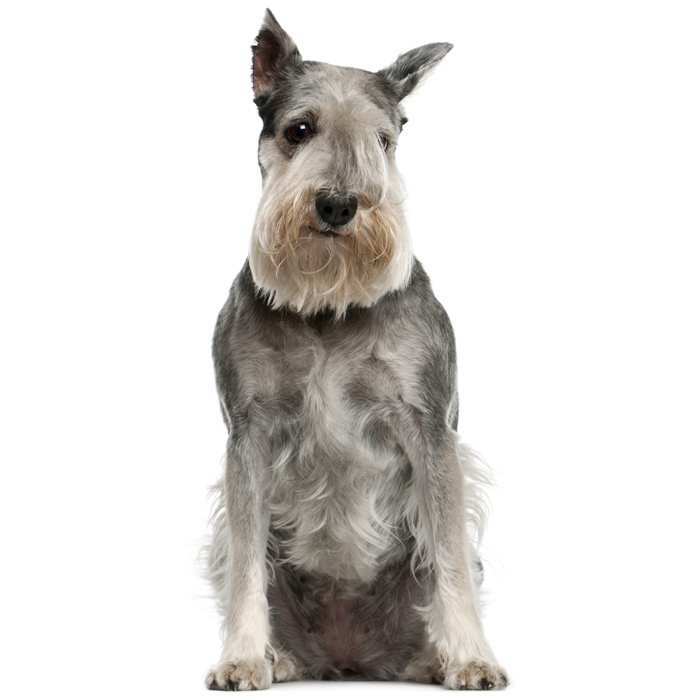 Pannus is the abnormal growth of tissue over the cornea and can affect the Airedale Terrier. Cherry eye is a common term for prolapse of the third eyelid gland. The result is a third inverted eyelid.  The condition is reasonably common and can be treated by your veterinarian. The Airedale Terrier’s development dates back to the mid-1800s. 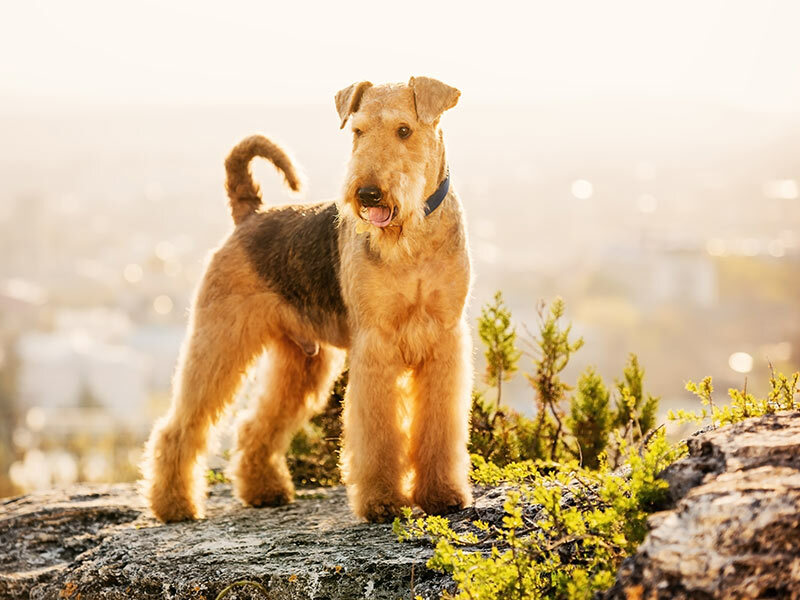 Although the breed’s exact origin and mix is the subject of debate, it is understood that the original Airedale was a mix of an Old English Black and Tan Terrier with an Otterhound. Although it is known that the Otterhound and Black and Tan Terrier were the Airedale Terrier’s beginnings, it is widely believed that there were a number of other breeds of terrier and bull baiting dog introduced to the breed to develop its strength. The Airedale Terrier was formally recognised soon after its initial development, being officially accepted by the English Kennel Club in 1886. The Airedale Terrier was developed as a sporting dog, used primarily by hunters who would run a number of terriers alongside their packs of hounds, or by the common-folk who would employ only terriers for their purposes. The role of the Airedale Terrier was to track and pursue smaller game such as rats, rabbits, and foxes. Because of the breed’s hound influence, the Airedale Terrier proved to be a great tracking dog. Its size and strength allowed it to run faster than smaller terriers and kill foxes and badgers with ease. The Airedale Terriers came arrived in Canada as soon as the 1880s and reached the United States in the early 20th Century. The breed was put to good use during the First World War. Much like the German Boxer, the Airedale Terrier bravely carried messages between the lines and carried heavy packs of water, food and medical supplies through the trenches on the Western Front. The breed became very popular with soldiers and developed a reputation for a determined and brave character. In the 1920s the Airedale Terrier reached its height of fame; then formally acknowledged as the most popular breed of dog in the United States. During the First World War the Airedale Terrier was known for its great courage in the face of overwhelming danger. One example is when an Airedale named Jack reportedly ran through intense enemy fire to deliver a message to another trench line over half a mile away. Jack delivered the message with a broken jaw and a badly broken leg, dropping dead moments after his arrival. The Airedale is the largest terrier breed and often referred to as ‘The King of Terriers’. Because of its size and independent nature it’s very important that its owner presents themselves as a dominant pack leader. If not, the Airedale will take control. The Airedale Terrier became very popular with the upper classes in America and Britain after its brave exploits during the First World War. Some notable owners of the Airedale include the car designer Ferry Porsche, Ringo Star, Maria Schell, James Joyce, Lloyd George and Winston Churchill. The Airedale Terrier, equipped with a keen sense of smell and eager hunting instinct, has also served in the role as a search and rescue dog.